So I have being living in Florence for a long time and man do I miss Dim-sum. 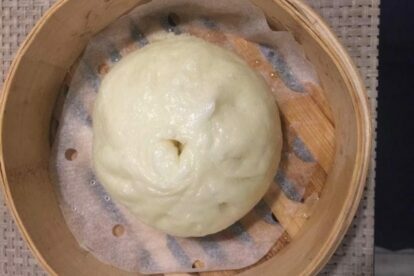 There are a few places that try to make something similar, but since Pine&Apple has opened I have being dumpling myself to death every time I can. It opened last year and has been a real novelty in town. It is really modern and cutely furnished, with pineapples everywhere. The menu is very simple but something that you really can’t find in town, the starters are a little fusion with wasabi shrimp or special spring rolls, and then there is the dumpling section that is my favorite. They also make Chinese bread dumplings by hand –my favorites are with pork inside– and all the dumplings are made fresh! Then there are spaghetti with pakchoi that are amazing and also ginger chicken that I can’t resist every time I go. I always order too much. Make sure to go early and have patience with the serving time, they are a little slow but it is really worth it!